In Easter term I cover the topic of conservation with my students, wandering into the area where plant science very clearly intersects with political and social factors. We are also close to exams at this point, one of which has a synoptic element of linking concepts and developing arguments. I decided to create a discussion based around a paper that lent itself not just to the content of the lectures but to help develop this skill. The paper I chose is Tanentzap et al. 2015 which discusses the conflicts between feeding the world and conserving other species. In the previous post I wrote, I used a paper as a structure for understanding experimental techniques used in the course of research. This article covers an approach that is quite different. It is based around an essay style paper and developing discussion and evidence-based arguments. While these approaches are different, both still require the student to ask the right questions and actively engage with the content, which I think is the key to making scientific papers accessible to undergraduates. To prepare for the discussion, I asked the students to read through the whole paper, but to focus on one particular section each. I gave them the responsibility for presenting a two- minute summary of their question such that between them they would have described the whole paper but individually they had smaller sections to tackle. Importantly I linked each question to a specific figure, table or case study box to try and get them to engage with the detail of the paper. 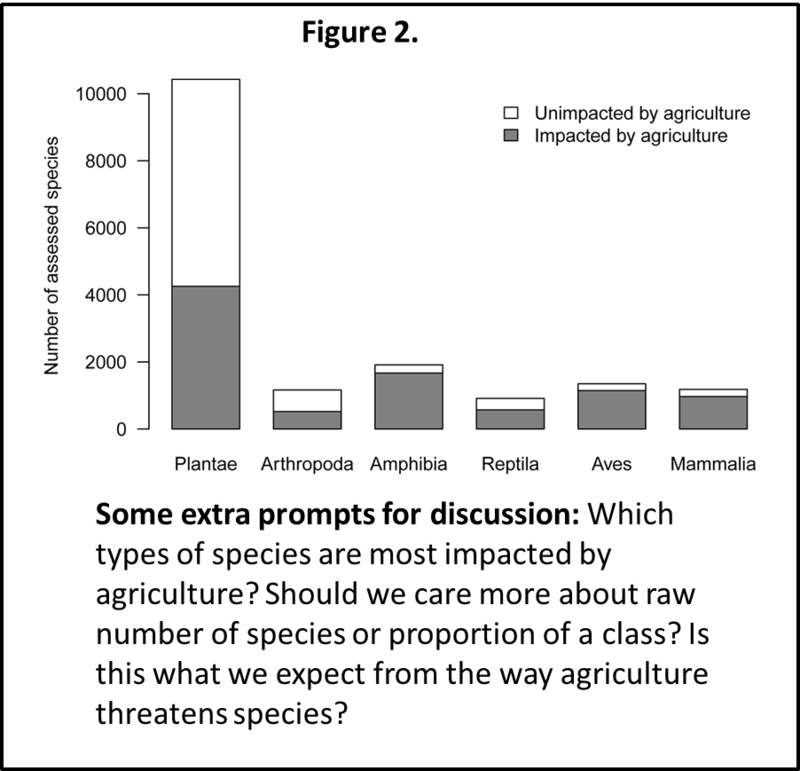 1) What problems does agriculture pose to the environment (include Figure 2 in your discussion)? (See below.) 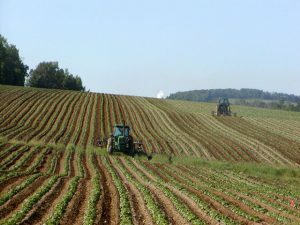 Why is it difficult to decrease agriculture’s environmental cost? 2) What are the potential solutions? Illustrate your explanation with the case studies in Table 1. 4) What challenges remain to implementing their solution? What can we learn from New Zealand and China regarding governmental involvement (refer to Boxes 1 & 3)? Smaller groups were assigned foci 2 and 3 as a priority. What is the overall aim/concept of the paper? 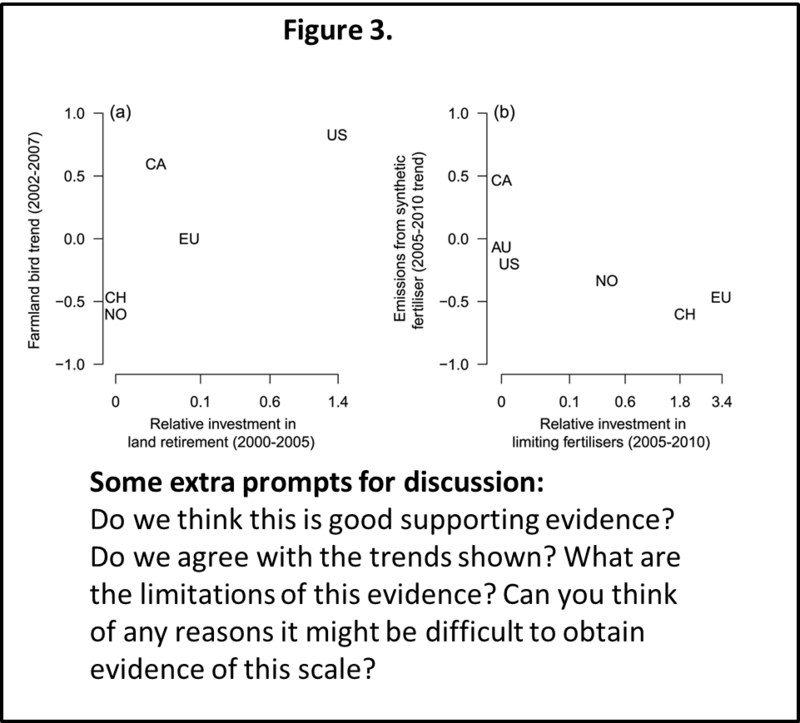 Do we agree with that suggestion based on the evidence? What would need to happen for their suggestion to be implemented? Would you suggest an alternative solution? The key comment that came up from students after the supervision was that the questions made the paper easier to access. It made it less daunting as they only had to focus on a small part and having prompts gave them clues to look for in what could otherwise have been a large block of text. My students find it difficult to get to grips with published literature and are often given little guidance on how to do so. From these two activities, I think the best way to make scientific papers more accessible students, regardless of the type of paper, is to “Get them to ask the right questions”. Designing this activity really made me think about all the different styles of papers and what we want to students to gain – so I’d be interested to hear of other ways you’ve used them in your teaching.